Crystal Palace are preparing to offer Wilfried Zaha a new contract to fend off interest from the title-chasing duo. Palace have braced themselves for offers this summer as the winger’s performances helped inspire his side to Premier League survival. The Ivorian enjoyed his best goal return to date last season as he notched nine goals in 29 appearances. Goals are the one thing that has really been missing from Zaha’s game, but after improving on his total of seven from the season before, Zaha has alerted some of England’s top clubs. According to The Guardian, Tottenham and Chelsea are the two sides leading the race for his signature but Palace will seek to thwart them by offering Zaha an improved contract. 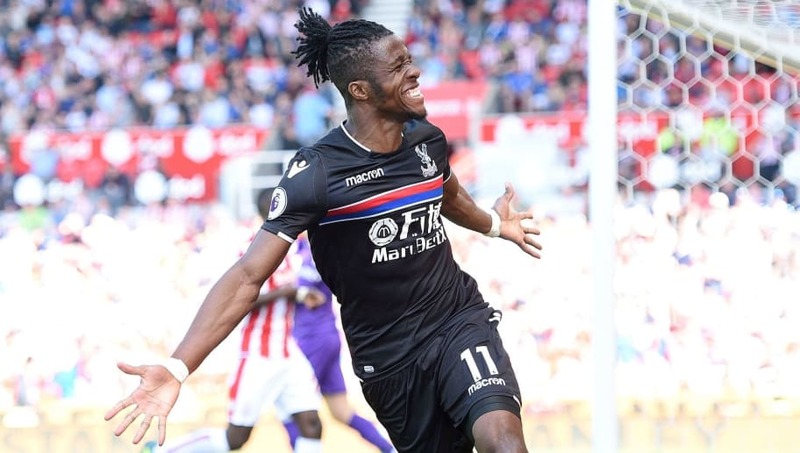 Zaha is a fan favourite at Palace after emerging from their academy and spending the majority of his career so far at Selhurst Park. More than that though he is a crucial player for a Palace side who narrowly avoided the drop this season, so they’ll be very concerned about a future without their mercurial forward. Aside from his goals he also added five assists for Palace last season, and his snaking runs always create problems for opposition back lines. Zaha seemingly has an affinity with the club, but he could be tempted by another crack at the top level after a disappointing past foray remains a blotch on his reputation. He moved from Palace, who were then a ​Championship outfit, to Manchester United in January 2013, becoming Alex Ferguson’s final signing for the club. It was a hype is spectacularly failed to live up to in a turbulent period for United under David Moyes. He only made four professional appearances in two years at the club, before returning to Palace who had since been promoted to the ​Premier League. Now 25 years old Zaha is in his prime and may want another chance to prove himself amongst England’s elite. Manchester City and Liverpool were believed to also be interested before moving on to other targets, but could reignite their interest as the summer rolls on. A bidding war amongst four of the top six clubs would be hard to ignore for Zaha or Palace but the club hope they can avoid late window drama by offering their man an improved contract. Zaha only signed a new five-year deal last summer for a reported £110,000-per-week.